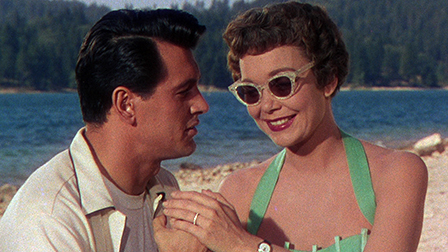 Rock Hudson, not wanting Jane Wyman -who he accidentally blinded and now only wants to do good things for her-to know that it is he, visiting her on the beach and that he’s fallen in love with her!!!! Cue the violins for Magnificent Obsession!!! !